If you’re a regular reader you will be aware of my love of Halloween. We’ve bought decorations, sought out costumes and have even been creating spooky food. 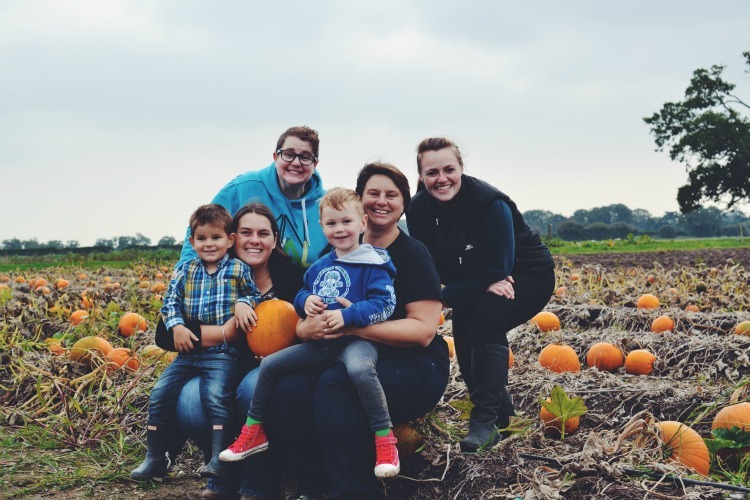 So it was certainly time we visited a pumpkin patch to pick a pumpkin. Our friends suggested Sopley Farm in Christchurch, which is about 40 minutes from us and is a pick your own, farm. My sister and I used to visit a PYO farm near us when we lived back towards London, but since moving to Dorset, we hadn’t visited any. So I was quite happy to have discovered a lovely one we can revisit through the seasons. 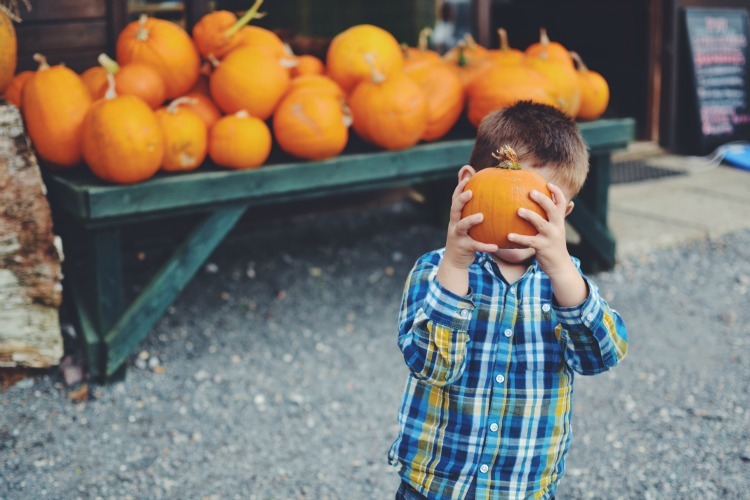 On arrival you let the shop staff know you’re there to pick a pumpkin and then you head off to the pumpkin patches to source the best one. 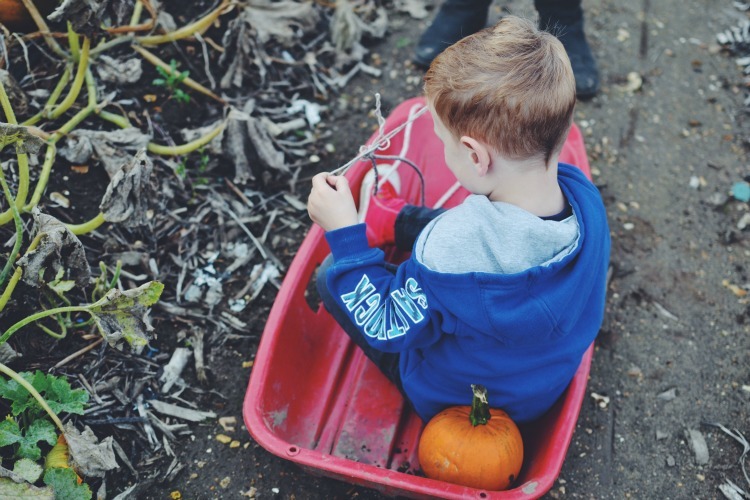 We actually ended up having muddy sled races, leaping pumpkins, having fun with pumpkin posing and generally having a pretty great time. 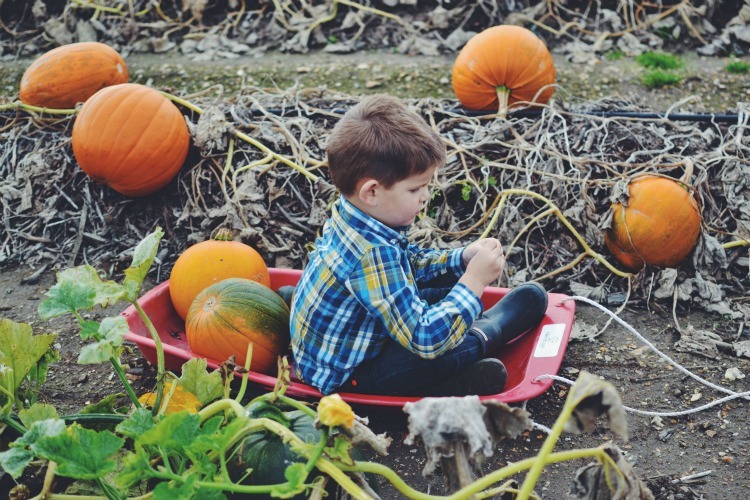 Who knew you could have so much fun in the middle of a field of pumpkins. The boys get on really well and took their pumpkin selecting very seriously. Some of the larger pumpkins were really heavy to lift, so we decided we’d leave the larger ones until closer to Halloween and just buy a little one on this visit. For the last few years we have purchased our pumpkins from the local supermarkets at no less than £3 a pumpkin. So we were super impressed with how many pumpkins our friends purchased for just £3.60. 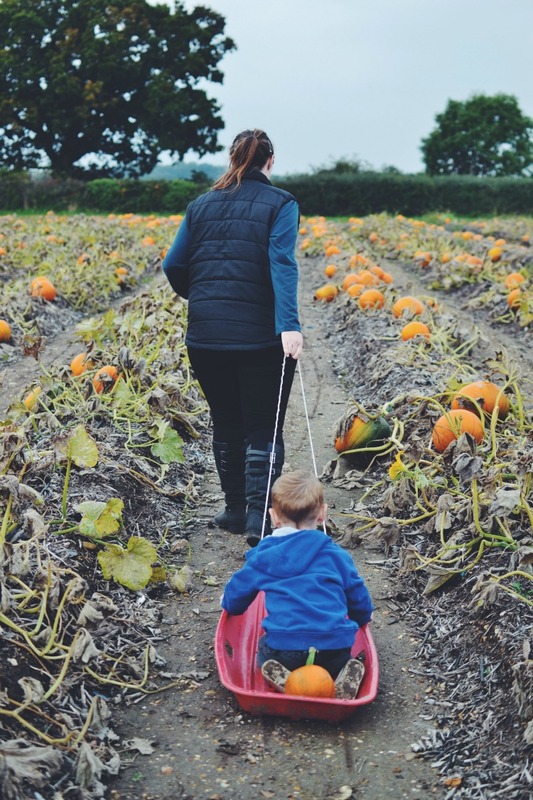 We both agreed that visiting a pumpkin patch every year, is going to be our new Halloween tradition. It’s great to spend the day in a location where the boys can truly be themselves. Getting muddy, finding bugs, racing and watching their mummies act a little daft. 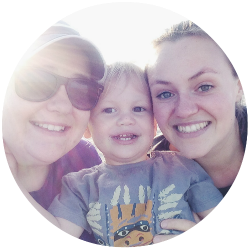 It’s also rather fab to have some friends we share so much in common with, which luckily includes a love of snapping lots of pictures. 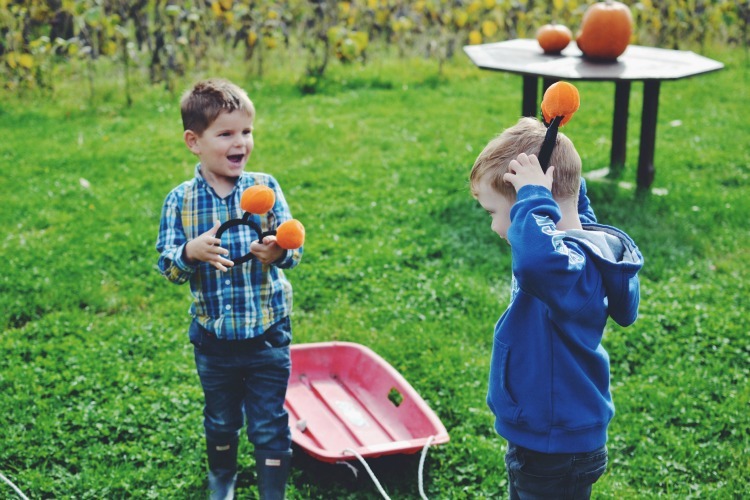 Our little men are pros at posing for shots and certainly fulfilled their roles of looking cute whilst picking pumpkins. I on the other hand, well I’ve never loved to be in front of the camera as much as I like to be behind it. But I do love acting the fool as you can see below. 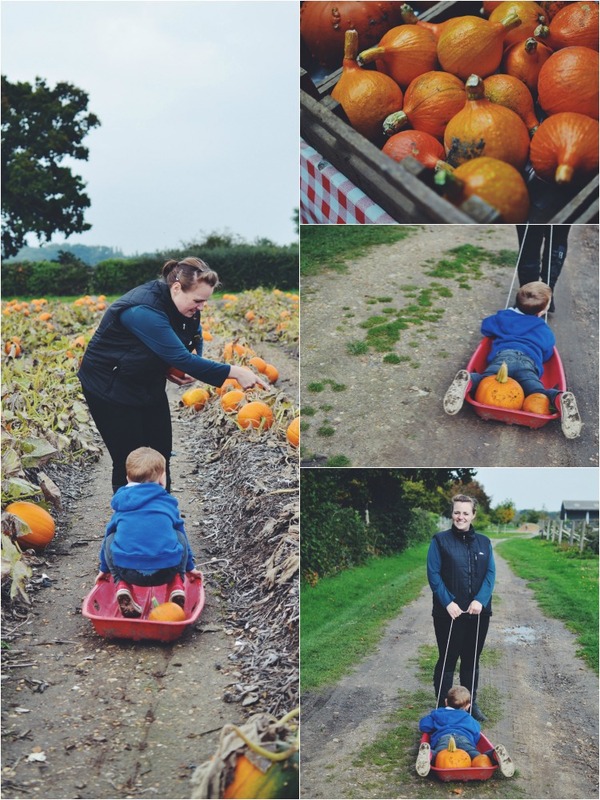 It really was such a lovely day and we can’t wait to go back to grab a super pumpkin to carve. We just hope there are plenty left when we return. 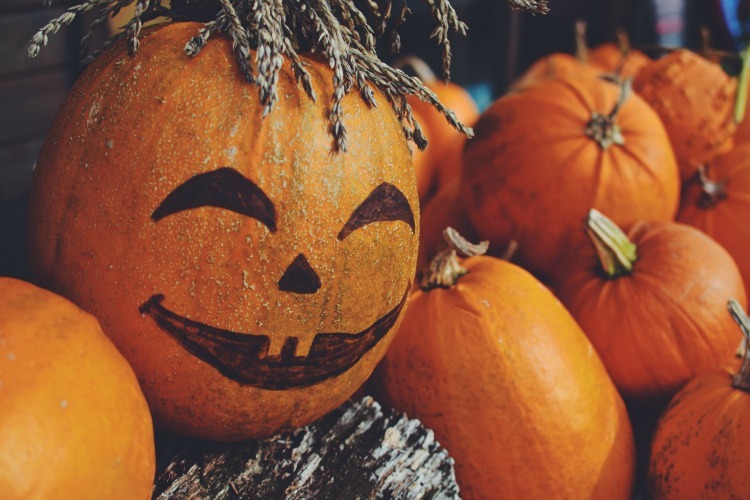 What a great Halloween tradition for you to start, it looks like you all had a great time messing around in the pumpkin patch. The boys look like they’re having a great time hunting around the field for the best pumpkins. I bet M can’t wait to go back and pick his own pumpkin soon! Thanks for linking up with me on Country Kids. 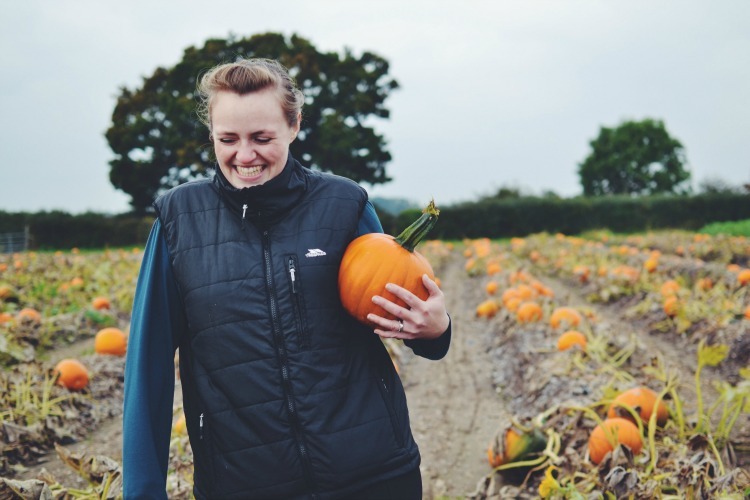 Who knew pumpkin picking could be so much fun! Looks like you had a great time. This looks fab and so much fun! I’m not even sure we have a pumpkin patch near here! The photo of you Kirsty is brilliant…I’m almost tempted to make that my screensaver just to make me smile everyday haha! !